Our router reviews include corded models with large plunge bases to smaller palm or handheld trim tools. 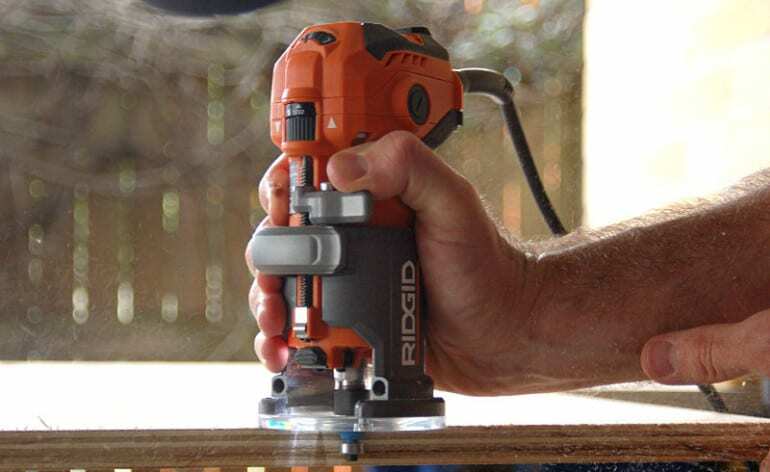 Some of our latest models tested include the Ridgid R2401 trim router and the powerful Triton TRA001 plunge router that we tested extensively in furniture making. To-date, one of the most impressive tools we’ve laid hands on has to include the Bosch 1619EVS Variable-Speed plunge router. It offers incredible power with low vibration, and it also provides excellent control. Testing routers includes knowing that setting the best router bit speed matters. Also, high end routers tend to add the power and control needed for higher end applications like cabinet-making. We test using jigs and also with router tables like the Bosch Model RA1181. Applications vary, but so do the routers and the people who use them. Some of the more fun applications for routing include advanced products. This includes the Rockler CNC Shark Black Diamond routing system and even an automatic self-guiding router.